The Siemens Industry Automation Division has announced the expansion of its industry software portfolio with the acquisition of VRcontext, Brussels, Belgium. The announcement was made at the Digital Plant Congress in Würzburg, Germany. With its Walkinside product family, VRcontext is one of the leading developers of 3D visualization and training software for displaying complex engineering data in the shipbuilding and plant construction industries. With this acquisition Siemens wants to further strengthen its established position in the industrial software market. The parties agreed not to disclose details of the purchase price. VRcontext was founded in the year 2000 and is represented around the world by numerous strategic partners, dealer networks and a branch office in Houston, Texas, USA. Walkinside 3D visualization software is currently in use in plant operation, maintenance and servicing in more than 200 companies in over 30 countries. Whatever the system used, the software directly accesses all plant information to display the current status of a plant in visually appealing, realistic 3D graphics. VRcontext has specialized particularly in remote offshore installations for the oil and gas industry. With Walkinside, the company has created a globally accepted standard for 3D visualization in the process industry. "The integration of the Walkinside 3D visualization and training software of our long-standing partner VRcontext into our industrial software portfolio will benefit our customers significantly. 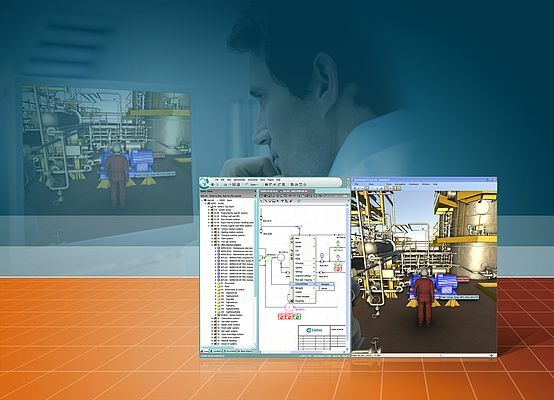 Using intelligent 3D models can make plant engineering and operation safer and more efficient in many sectors of the industry," said Eckard Eberle, CEO of the Siemens Industrial Automation Systems Business Unit, to which VRcontext will be assigned.